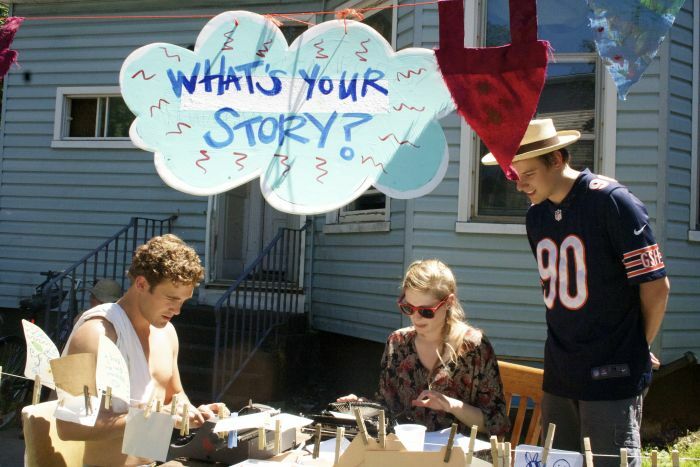 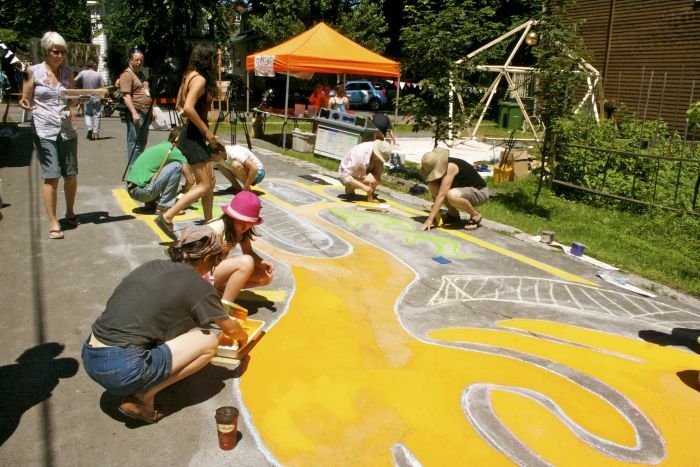 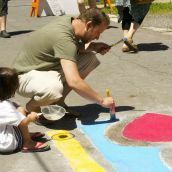 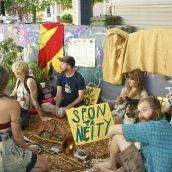 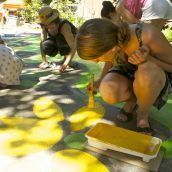 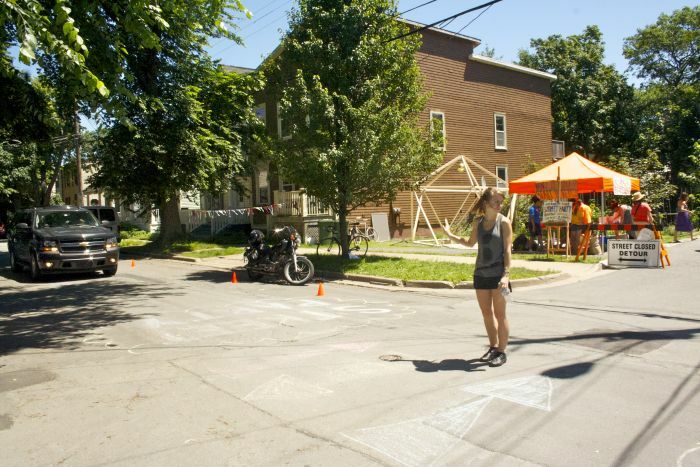 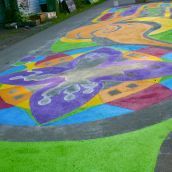 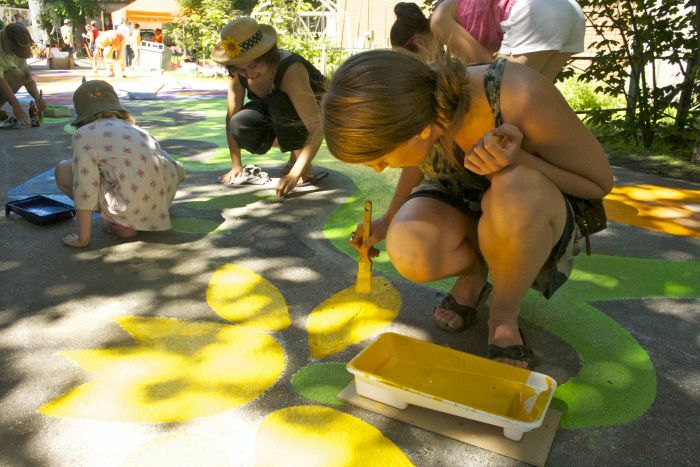 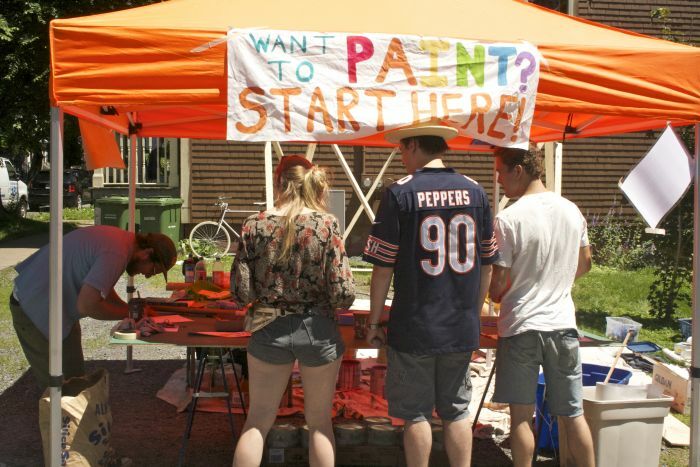 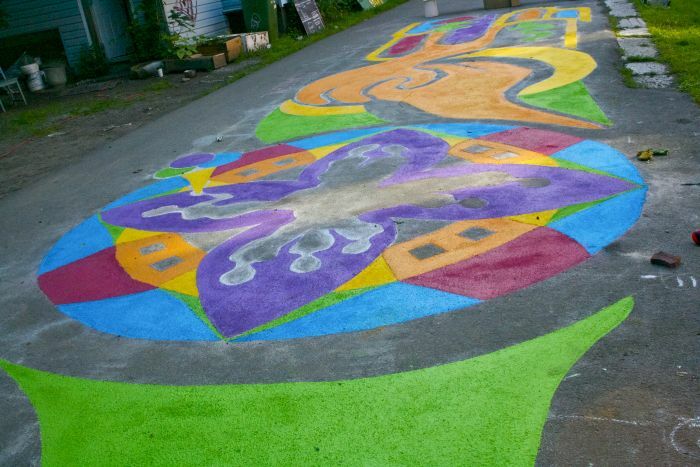 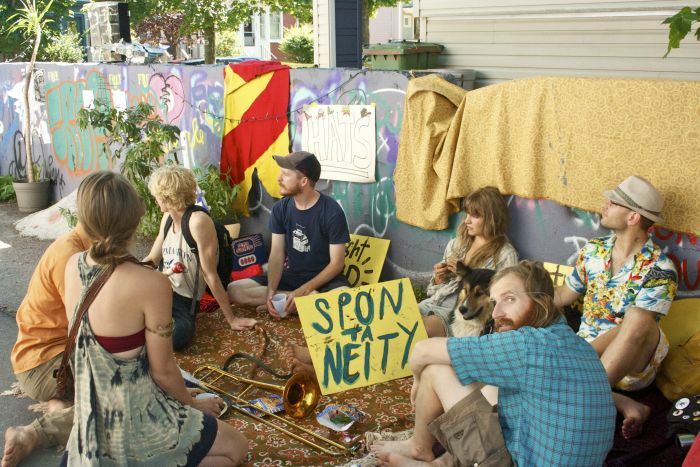 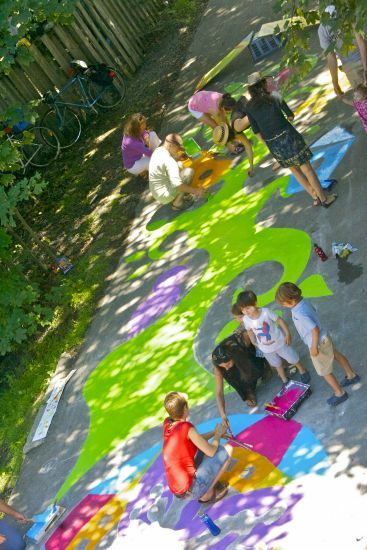 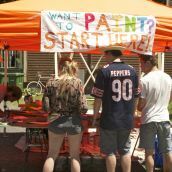 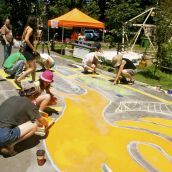 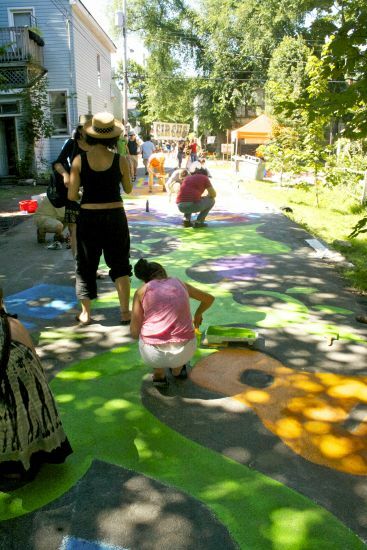 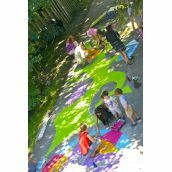 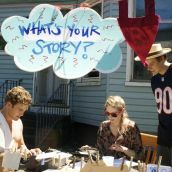 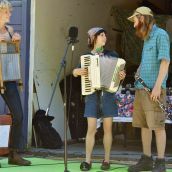 PlaceMaking Halifax is a community arts project that aims to bring neighbours together and build community. 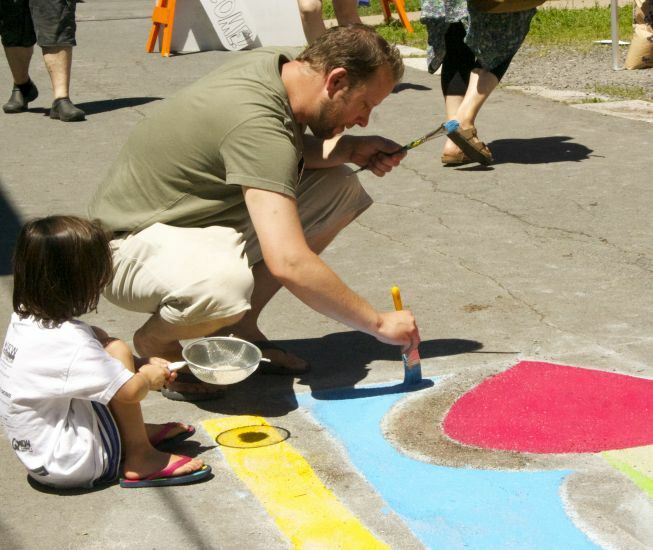 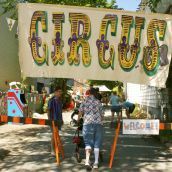 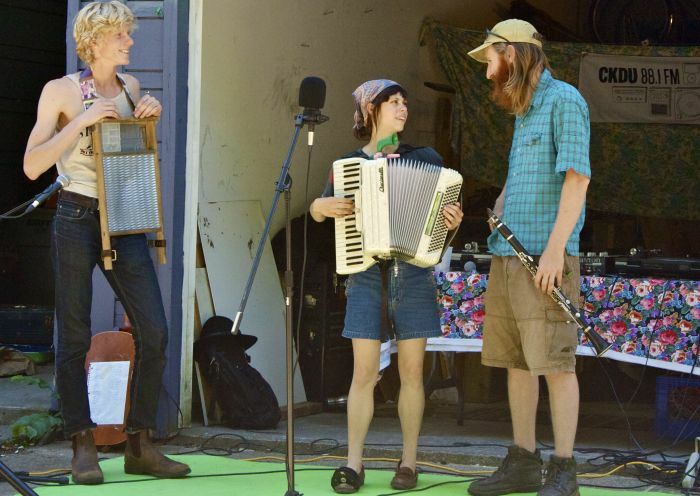 Kate MacLennan, community arts facilitator for HRM, explains that PlaceMaking is also a way to bridge the community and the municipality through arts-based community projects. 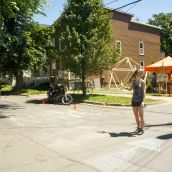 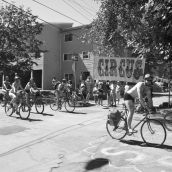 “We are hoping that art is a catalyst for neighbors to build relationships and create social capitol.” HRM and the community come to an agreement on the design, the area for the project, and dates. 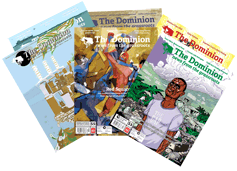 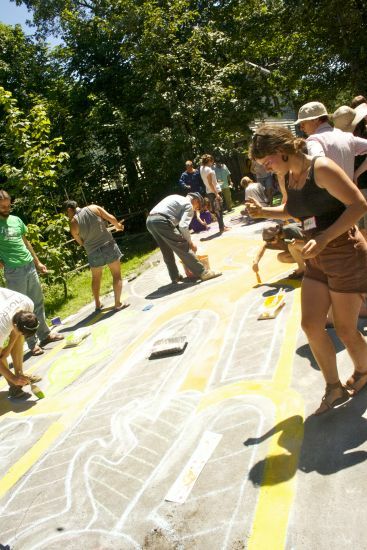 The entire community has to agree to the design, which means everyone gets to have their voice. 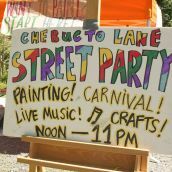 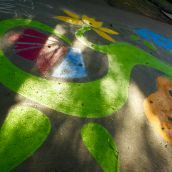 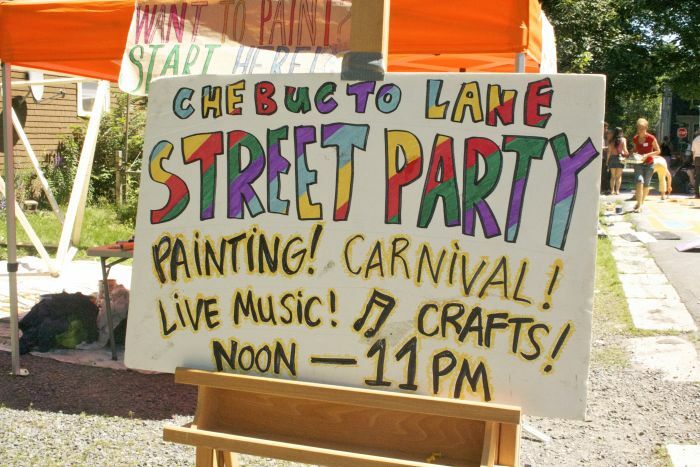 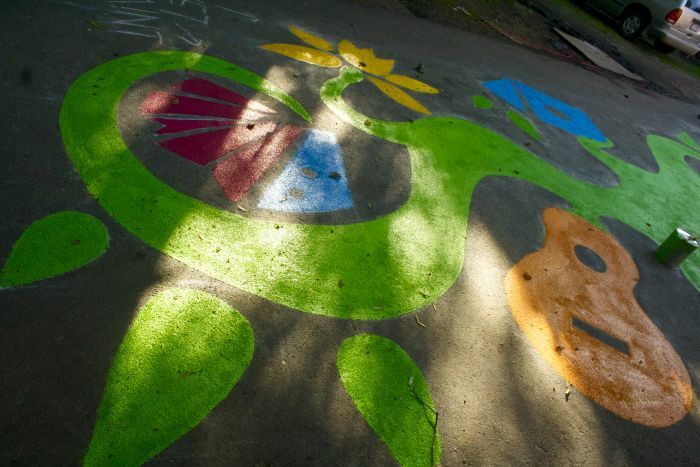 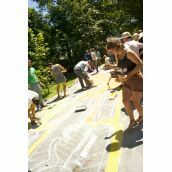 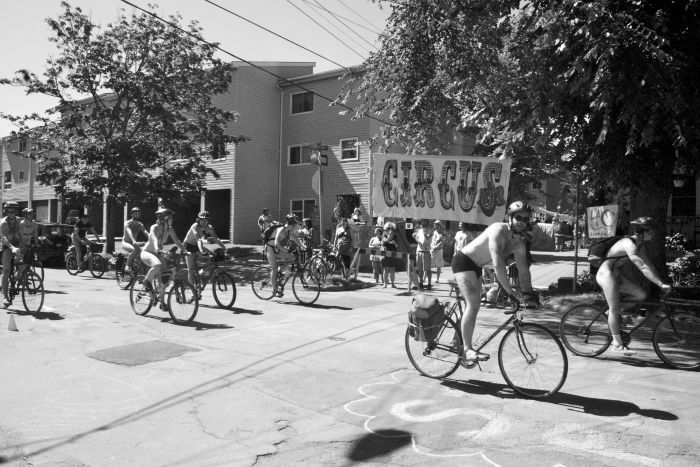 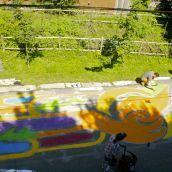 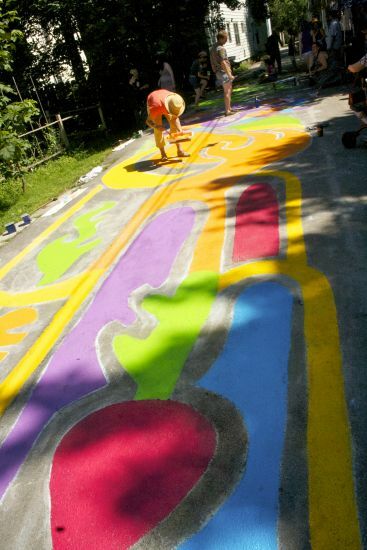 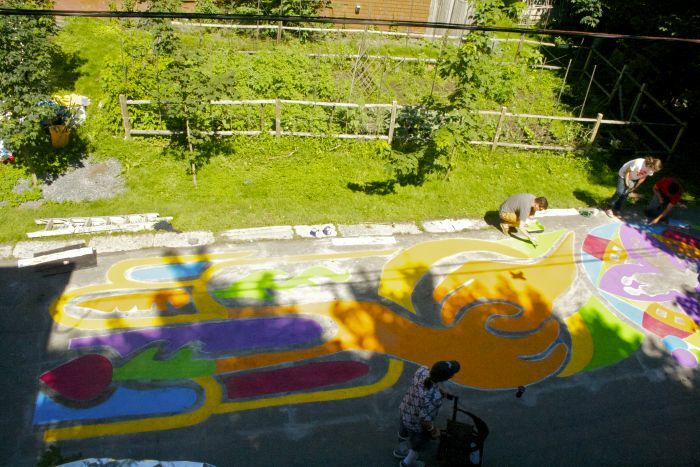 The neighborhood around Chebucto Lane has been working together for the past 6 months to plan, design, and create a mural that was painted across the lane on July 13th. 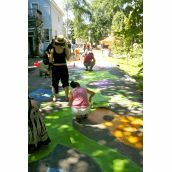 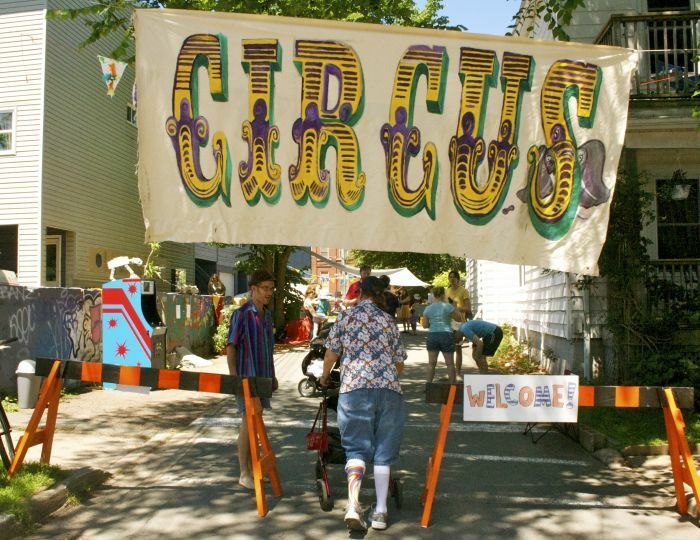 PlaceMaking is partnered with the 4Cs Foundation and Halifax Regional Municipality and is citizen-led.